This special interest group brings together and represents the interests of IPOS members who are early in their career and want to provide a platform through which they can find and support each other. Dr Sigrun Vehling (Chair), Post-doctoral Researcher, Germany. Research interests: existential issues in cancer, specifically demoralization, sense of dignity and meaning-focused coping. Sigrun is a post-doctoral researcher from Hamburg, Germany and works at the Department of Medical Psychology of the University Medical Center Hamburg Eppendorf. She received her PhD in 2013 under the supervision of Anja Mehnert. Sigrun has been the principal investigator of a longitudinal study investigating sources of meaning, meaning-focused coping and positive and negative life change in patients with lung and gynaecological cancer as well as long-term survivors of testicular cancer. Her research particularly aims to delineate the relationships between different conceptual approaches to existential challenges and resources and their role for psychological adjustment. Dr Michelle Peate (Committee Deputy Chair), Post-doctoral Researcher, Australia. Research interests: decision-making, side-effects of cancer treatment, and survivorship issues. Michelle is a National Breast Cancer Foundation Early Career Research Fellow who leads the Psychosocial Health and Wellbeing Research (emPoWeR) Unit, Department of Obstetrics and Gynaecology at the Royal Women’s Hospital, University of Melbourne. Her main goals involve the development of resources for people who need them. Her research portfolio has involved the development and implementation of a number of patient resources, including a fertility-related decision aid for young women with early breast cancer and a booklet on breast cancer and early menopause. Michelle is also involved in clinical practice guideline development and the integration of psychosocial care. She was also involved in pioneering the development and implementation of Standard Operating Procedures in Psycho-oncology, which has given her a ‘whole’ view of the aspects of research. Her current projects are looking at developing interventions for fertility preservation decisions in young women with breast cancer with low health literacy and in the paediatric cancer setting, infertility risk calculation in young women with breast cancer, and managing sexual dysfunction and menopausal symptoms after cancer. Dr Mahati Chittem, Assistant Professor of Health and Medical Psychology, India. Research interests: communication, illness representations, cultural aspects of care, medical decision-making and end-of-life issues. Mahati is an Assistant Professor in the Dept. of Liberal Arts at the Indian Institute of Technology Hyderabad (IITH), Hyderabad, India where she teaches and conducts research within the fields of psycho-oncology and other chronic diseases. Mahati’s main goals are to raise awareness about psycho-oncology within India as well as to put India on the global psycho-oncology map. Using mixed methods, her research group focuses on topics such as illness perceptions and lay understandings of cancer, communication, doctor-patient-caregiver relationships, end-of-life decision-making, help-seeking, and cancer survivorship. Mahati has successfully convened two IPOS Academies on communication skills in Hyderabad (2015) and identifying and managing psychological distress (2016) and is the founder and chair of the Hyderabad Psycho-oncology Working Group (HPWG). She received the Asia-Pacific Psycho-oncology Networks' (APPON) Young Investigator Award (2014) for her contributions to psycho-oncology in India and in 2016 received the Health and Behavior International Collaborative Award from the APA to visit the Comskils lab in MSKCC, New York. Mr Philip Odiyo Ouma, Patient support manager and clinical psychologist, Kenya. Research interests: spirituality, culture, post cancer identity. Philip Odiyo Ouma is a Clinical Psychology Doctoral candidate at the United States International University in Nairobi, Kenya. Philip’s research focus is on quality of life, survivorship and post treatment adjustment in childhood cancer patients and their families. He completed the Union for International Cancer Control (UICC) International Cancer Technology Transfer Fellowship (ICRETT) at the Memorial Sloan Kettering Cancer Center, USA. He is also a member of the International Society of Pediatric Oncology – Pediatric Oncology in Developing Countries Global Taskforce and a Fellow at the Association of UICC Fellows. He is very passionate about mainstreaming survivorship care in Kenya and Africa. 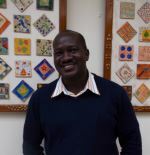 He is currently the Patient Support Manager at Faraja Cancer Support Trust at Cancer Care Kenya in Nairobi. Mr Ozan Bahcivan (IPOS Early Career Director), PhD Candidate, Health Psychologist/Psycho-Oncologist, Ankara Baskent University Hospital, Turkey. Research interests: Coping with cancer, communication, illness perception, cross-cultural comparisons, medical decision-making and palliative care. Ozan is a Health Psychologist/Psycho-Oncologist in the Department of Medical Oncology at Ankara Baskent University, Turkey. Also completing his doctoral studies in Clinical Health Psychology program at the Barcelona University in Spain. He has an affiliation as a supervisor consultant with Family Haven/SA Pregnancy and Parenting Counselling Services in Adelaide, Australia. Ozan’s main goals are to raise awareness about psycho-oncology within Turkey and increase the awareness of psycho-social needs of cancer care. His research projects have focussed on cultural perception of illness, quality of life, and complementary and alternative medicine (CAM) use by cancer patients as well as adaption of psycho-oncological clinical tools to Turkish language and population. He is currently developing and adapting psycho-oncological clinical tools to be used among Turkish population. In fact, he is interested in developing culturally appropriate guidelines and brochures for Turkish cancer patients and their care givers, he is also hoping to contribute other relevant guidelines and brochures internationally. 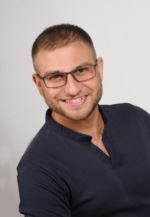 Ozan has elected as the Early Career Director of IPOS between the years of 2017 - 2019. By taking this position, Ozan aims to collaborate and work along with other early psycho-oncologists to enhance their knowledge about psycho social cancer care internationally. Dr Helena Lewis-Smith, Research Fellow, The United Kingdom. Research interests: body image, sociocultural influences, intervention development, cross-cultural research. Helena is a post-doctoral researcher working at the Centre for Appearance Research, at the University of the West of England, in the UK. 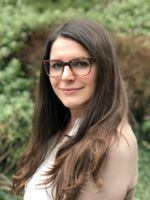 Her PhD focused on developing and evaluating a body image intervention for women with breast cancer, by uniting the fields of psycho-oncology and body image to inform knowledge and practice. Her overall goal is to promote positive body image and acceptance of diversity of appearance at a global scale. 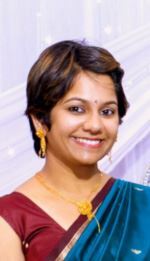 Her current projects include exploring sociocultural and psychological influences which foster positive body image among women who have undergone treatment for breast cancer, and evaluating a CBT-based group intervention and a yoga-based intervention to promote positive body image and psychosocial wellbeing among breast cancer survivors. Dr. Julia A. Andre, Chartered Psychologist (BPS) at Life Cancer Care in Hong Kong. Research Interest: negativity bias, depression, psycho-somatic disorders, integrated/multidisciplinary cancer care. 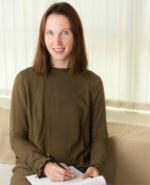 Julia A. Andre studied Clinical Psychology at Radboud University in Nijmegen (NL), followed by a Research Master in Cognitive Neuroscience with the specialisation in Psychopathology and Clinical Training at Maastricht University (NL) and finished her PhD in 2016 at the Department of Psychology at Hong Kong University. Currently, she works at ‘Life Cancer Care’ as the leading psychologist in a fully integrated cancer centre in Hong Kong that combines complementary, alternative and conventional treatments to archive the best outcome for the patient and provides the essential knowledge and psychological support needed for true healing. Individual and group cancer counselling is offered to cancer patients at various stages with a great focus on stress management, cognitive restructuring, pain management/coping, decision making, and exploration/communication of needs. Currently, the team is also working on group family counselling sessions. Her aim is to spread the awareness and importance of psycho-oncology in Asia and to offer cancer patients and their family the opportunity to share their thoughts and worries and support them with their increased level of distress. She also wants to work to reduce the stigma and normalise the visit with a psychologist within the integrated cancer treatment programme. 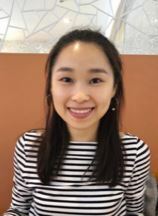 Ms Danielle Wing Lam Ng, PhD student, Hong Kong. Research interests: fear of cancer recurrence, cognitive bias, survivorship issues, psychosocial adaptation. Danielle is a PhD candidate in the School of public health at the University of Hong Kong. Her research centers on cognitive biases, for example biases in attention allocation and stimulus interpretation. It focuses on how they contribute to psychosocial adaptation patterns during active treatment and throughout cancer survivorship. Her research interest also lies in therapeutic interventions with the focus on lowering the risk for chronic psychological distress (particularly, fear of cancer recurrence). Currently, she is exploring the role of cognitive biases in relation to psychological distress variability in patients with breast or colorectal cancer. Ms Diana Correia, Psychiatrist with specialization in Psycho-Oncology, Portugal. Diana currently works at Hospital Matosinhos and her areas of intervention are liaison psychiatry with special focus in neuropsychiatry and consultation of psycho-oncology, major depression, cognitive-behavioral and family therapies, and Balint Groups. Diana has previously participated in the research project "Genetics of Major Depression: Pharmacogenomics and Molecular Epidemiology" and is a co-author of scientific papers published in national and international indexed journals. Diana is a member of the Editorial Committee of the Journal of the Portuguese Group of Liaison Psychiatry, and member of the Portuguese Academy of Psycho-Oncology, of the Portuguese Society of Family Therapy and of the Portuguese Group of Liaison Psychiatry. She collaborates in the INNOVBC project as co-investigator.